This started out as one HUGE post but it quickly got out of hand. So I split it up into three! Why three? Because I have 6 different truffles, 1 handmade lollipop, and the store itself to discuss. 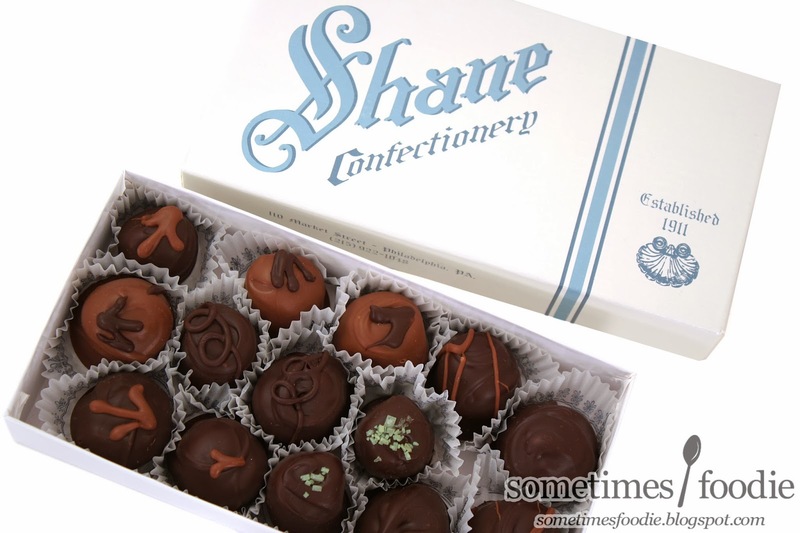 Shane Confectionery, produces delicious sweets that are just as beautiful as they are tasty, and I'm not just talking about the packaging. Walking into the shop is just like walking back in time. The owners and staff dress in retro clothing, they use vintage silver cash registers, and the decor is covered in decorations and signs from the early 1900's. With everything being so visually interesting, I took a LOT of photos. Just look at the chocolate packaging! Everything is so lovely and detailed. The candy box is white with blue printing, but it also has this lovely textured semi-gloss finish that gives it a pearl-like sheen. It was really difficult to capture that in photographs, but I liken it to the shiny white jewelry boxes from department stores. 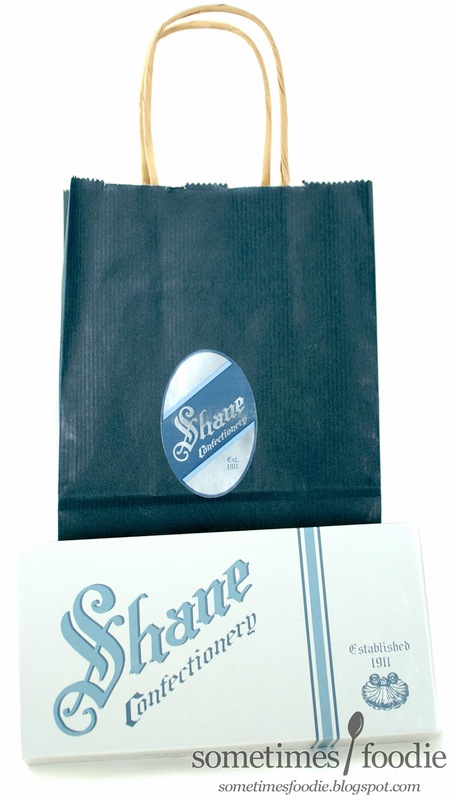 I don't think I took any photos of the fluted paper wrappers, but each one features the Shane logo and a circular ornate print. Although the candies are the stars of the show, the packaging on it's own is still very well designed and thought out. The attention to detail doesn't stop at the chocolate box. When I made my purchase, I received an adorable, blue striped, paper shopping bag, which was tricky to photograph due to the soft sheen of the texturing, but in person it is really lovely. On the front there is a little distressed sticker featuring the company logo, and to be honest I wasn't sure if the sticker was purposefully distressed of not. Either way, it added to the vintage experience. Enough about the packaging, although it is beautiful, let's eat some chocolate! 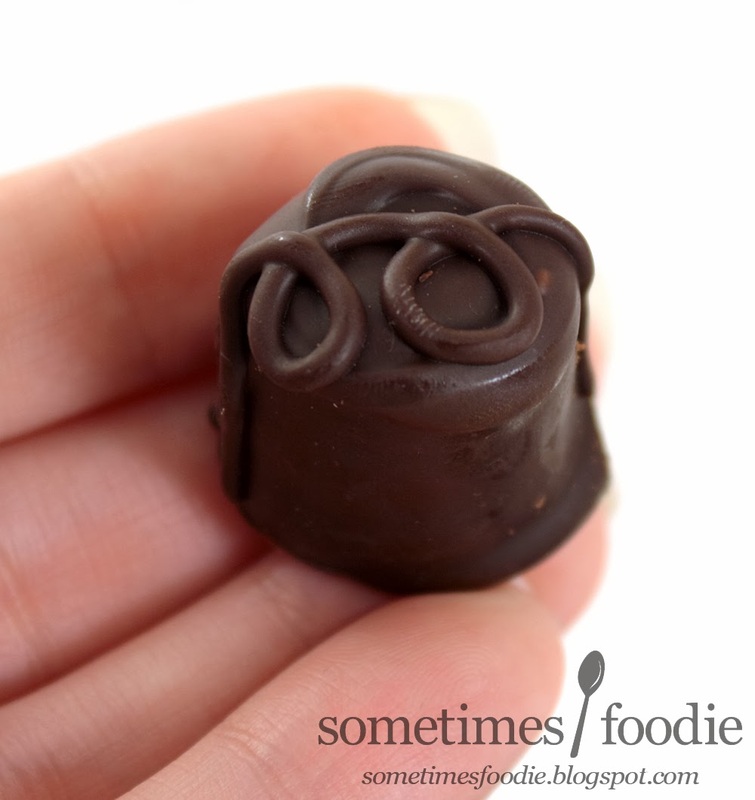 I wanted to start with the chocolate that Shane is best known for, the Walnut Buttercream. 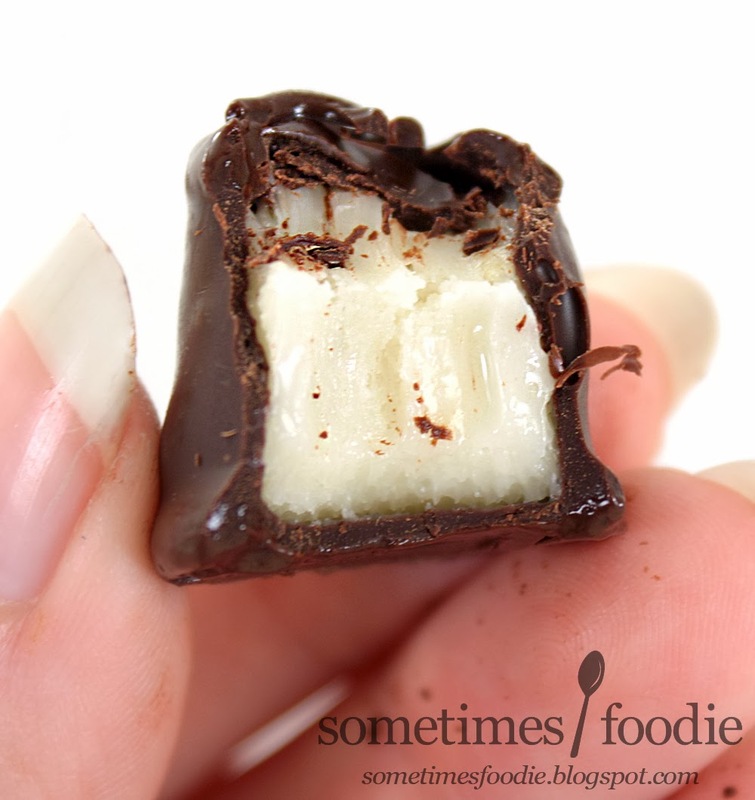 This adorable little chocolate confection has been featured on tons of websites, cooking shows, and magazines. Why? Because it is delicious and it's made with equipment that is about a century old. During this trip I bought 4 of them (2 dark chocolate and 2 milk chocolate). Each chocolate has a unique decoration so you can tell the difference between each flavor, and this one features a little 3 pronged leaf. My photo lights are pretty intense, so I had to hurry before the chocolates started to soften and melt. Under the hot lights, the candies started to smell sweet with a hint of bitter cocoa powder. The first thing to hit your tongue is the chocolate shell, and due to the heat from my lights, it melted instantly on my tongue. The dark chocolate was rich, not too sweet, and slightly bitter. As for the fondant center, it was one of the smoothest fillings I have ever tasted. There's no sugary grit, just this soft, sweet, confection with strong walnut flavoring. Surprisingly, there are flecks of actual walnut inside, but you can barely detect them texturally! You get all the flavor and none of the crunch. It is almost as if the center is a walnut-y version of marzipan. Once everything has been dissolved and chewed away, you're left with this fine walnut-pulp on your teeth to prove that it was actually there. I typically prefer almonds to walnuts, but this little treat is addicting. I'm a dark chocolate fan, so the dark chocolate was my favorite. The milk chocolate version had an even sweeter chocolate shell and I felt like the sweetness took away from the walnut-center. 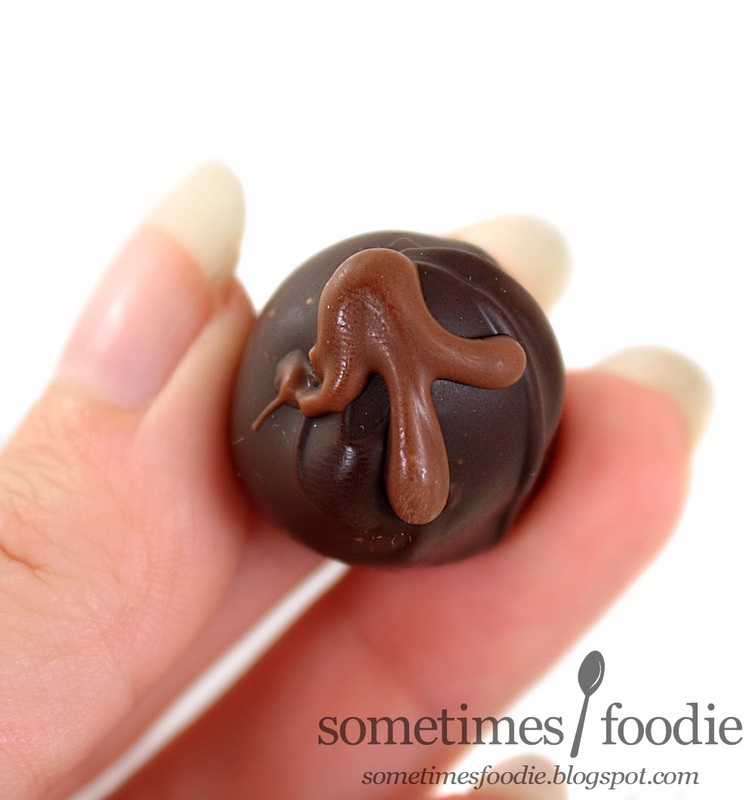 I remembered liking the lemon truffle during my last visit, so I got two dark chocolate ones to photograph and review. The outside has the same deliciously dark chocolate as the walnut butter-cream, but the filling is completely different. Instead of being smooth and velvety, the lemon filling has this sticky lemon-curd like texture mixed with fondant. Texturally it's really interesting, but the flavor is amazing. It's as if fresh lemon curd had literally been mixed up with a creamy vanilla fondant, so the resulting flavor is very reminiscent of lemon meringue pie. 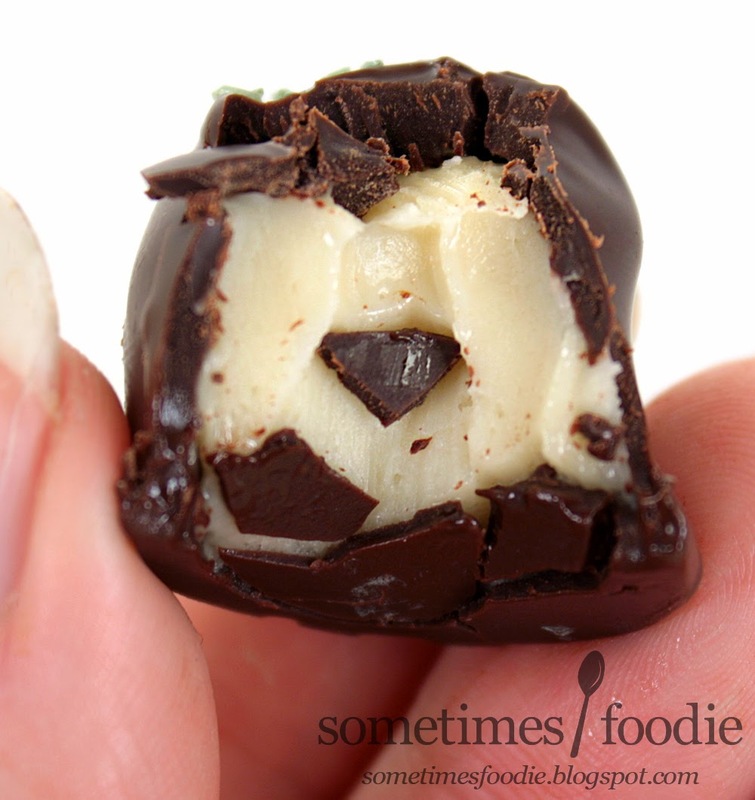 The dark chocolate and lemon compliment one another, but I would love to try a white chocolate version of this one. I know the Walnut Butter-Cream is the big ticket item, but I absolutely love the lemon. It's my favorite. Again, I had to go with the dark chocolate. (Everything is better with dark chocolate. But that's just my personal preference.) 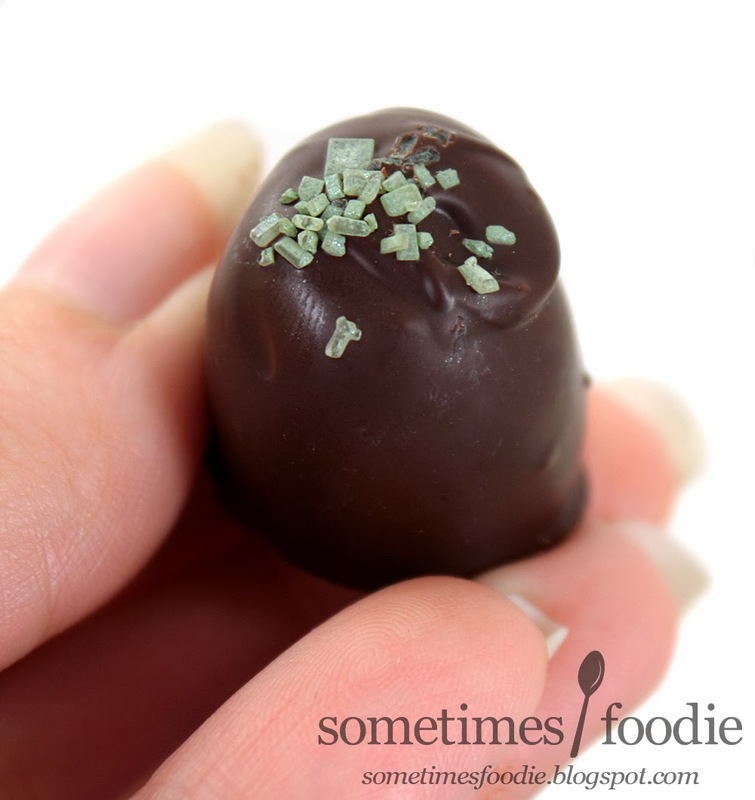 The chocolate shell is the same as before, but due to the strongly flavored center, it has this mild mint flavoring that makes it seem like an entirely different chocolate all together. 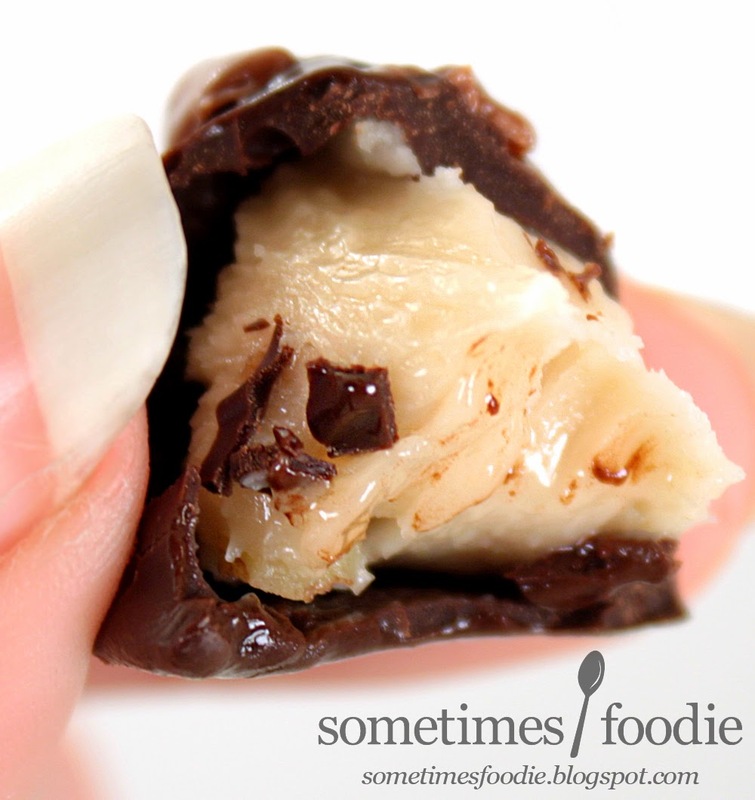 This chocolate shell is rich, minty, and melts in your mouth. As for the fondant center, it's flavored with a sweet peppermint, similar to candy canes or Andes Mints, but it's a bit stronger. When your chocolate has dissolved and there is a clean minty tingle in your mouth, similar to an Altoid, but a lot less intense. It's as if dark chocolate, candy canes, and Altoids were combined to make this candy. It's really minty, and one of the smoothest centers I have ever tasted. Still, it doesn't surpass my love of the lemon truffle. Well this post already got a lot longer than I expected. I'll break the chocolates into two posts and make the lollipop and store into another. I have so many photos left to post! !